Sonoma, Calif. - Will Rodgers has been the driver to beat in recent NASCAR K&N Pro Series roadcourse events. Rodgers continued that trend with a victory in the Carneros 200 at Sonoma Raceway. The 23-year-old NASCAR Next driver dominated the race leading 35 laps from pole position. It was the fourth road course race win in a row for Rodgers between starts in both the NASCAR K&N East and West series. Five Monster Energy NASCAR Cup Series drivers entered the race yet they were unable to compete with Rodgers during the weekend. Besides winning the race and pole, Rodgers was also the fastest in practice. The first five-minute break on lap 21 saw Rodgers race leader over NASCAR Energy NASCAR Cup Series drivers William Byron, Daniel Suarez and Aric Almirola. Seven cars chose not to pit including Almirola who moved to the lead. Business picked up as the fastest cars in the field had to maneuver through traffic to retain their previous positions. Rodgers and Suarez thrilled fans as both drivers were able to enter the top five after the restart. Suarez moved by Almirola on lap 39. The second break on lap 41 it was Suarez leading over Almirola, Rodgers, Erik Jones and Byron. The restart saw Almirola take advantage of Suarez and move back to the lead. The race was decided on lap 50 when Rodgers was able to drive under Almirola in turn 11. Rodgers went the rest of the way unchallenged and at the finish his margin of victory was 4.420 seconds. Almirola took second with Byron placing third. Suarez was fourth and Ryan Partridge fifth. Partridge's top five finish allowed him to take over the championship lead by a singl point over his teammate Derek Kraus who finished in the eighth position. Jones, Hailie Deegan, Derek Thorn, Cole Keatts and Derek Kraus finished out the top 10. 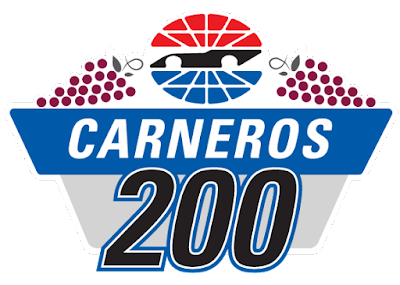 NBCSN will broadcast the Carneros 200 on Thursday, June 28th at 6:00 PM EST. It will be a quick turnaround for the series as the NASCAR K&N Pro Series West will be racing Saturday, June 30 at Douglas County Speedway in Roseburg, Ore for the Clint Newell Toyota 150 presented by NAPA Auto Parts. The win marks eight straight road course wins for Jefferson-Pitts Racing. After a career best qualifying effort of third, Hailie Deegan finished seventh. Derek Thorn entered the race as the series points leader. He was able to recover from a late race incident to finish eighth. Lap Leaders: W. Rodgers 1-21; A. Almirola 22; C. Rouse 23; A. Almirola 24-39; D. Suarez 40-44; A. Almirola 45-50; W. Rodgers 51-64. Standings: 1. R. Partridge, 254; 2. D. Thorn, 253; 3. D. Kraus, 237; 4. C. Rouse, 232; 5. H. Deegan, 225; 6. K. Vanderwal, 219; 7. T. Huddleston, 213; 8. M. Levin, 185; 9. W. Rodgers, 181; 10. T. Souza, 179. Eureka, CA (June 18, 2018) – One of the highlight races of Redwood Acres Raceway’s 2018 season is set for the end of the work week. It’s a special Friday night race at the 3/8-mile paved raceway. Four of Redwood Acres Raceway’s six divisions will be in action with the exception of the bombers and late models. The race is sponsored by Pepsi, Del Reka Distributing and Humboldt Lighting. In addition to the racing, RAR will be hosting the first boat race of 2018 just after racing concludes. 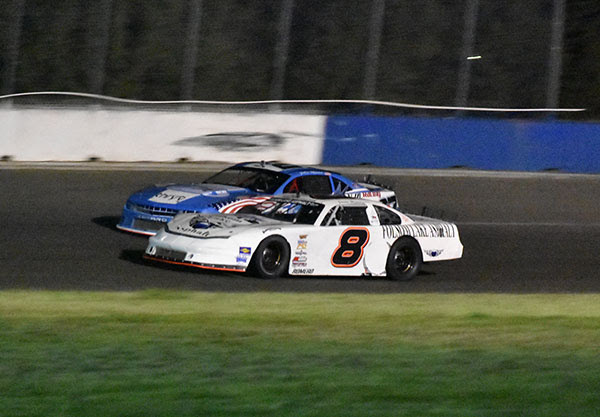 Racing in the Bandolero division has been very exciting in its debut season. Leading in the standings is Aiden Kimberling who has been steady and consistent so far this season. Lane Anderson has been one of the top drivers to beat in 2018 and he’s second, 20 points behind Kimberling. Kadence Mace is third but 44 points behind Kimberling. Maleesa Miles won the most recent race on June 9th but is 75 points behind the leader. Trey Daniels rounds out the top five. The race for the track championship in the Compass Community Credit Union roadrunners looks to be in Nick Ford’s hands. Ford has a substantial 65-point lead over second place Amanda Lohr and Lindsey Zito who are tied. Ronny Crump sits fourth, 10 points behind the duo in second and Tim Ratzlaff is fifth. The championship battle in the NorthCoast Lighting & Electric Legends division is similar to the roadrunner class as Chris Lawrence has a lead of 31-points over second place Tyler Peach. Aiden Daniels is third, 52-points behind the leader. Katina Baker and Tyler Krupa are fourth and fifth in the standings. Jim Redd has a firm grasp in the Fortuna Wheel & Brake bomber division. He leads Ryan Walters by 51 markers. Wyatt Roach is 53 points behind Redd in third. Sam Brown is fourth but 71 points behind Redd. Doug Way currently is placed fifth, eight points behind Brown. The bombers will return for the July 7th event. The tightest championship battle this season is in the Humboldt Hydroponics mini stock class. Only two points separate first and second with Brian Murrell, Sr. having the edge on Eugene Palmer. Scott Taylor’s consistency from last year has transferred to this year. He is third in the standings. Trevor Eacret won his first main event this season and he is fourth. Gary Klientobe finishes out the top five point leaders. Mic Moulton has won all three NorthCoast Lighting & Electric feature events for the Mid-City Motor World late model division. In spite of that, Moulton’s lead over David Henderson in second place is only 14 points. 2018 has been a very difficult year thus far for Marty Walsh but in spite of his bad luck, Walsh is third in the standings. Dane Nissen is fourth in points and Kenny Demello is fifth. The late models will be in action on July 7th for the Don Graham Memorial Firecracker 100. As always, front gates on Friday will open at 5:00 PM while racing starts at 5:30 PM. 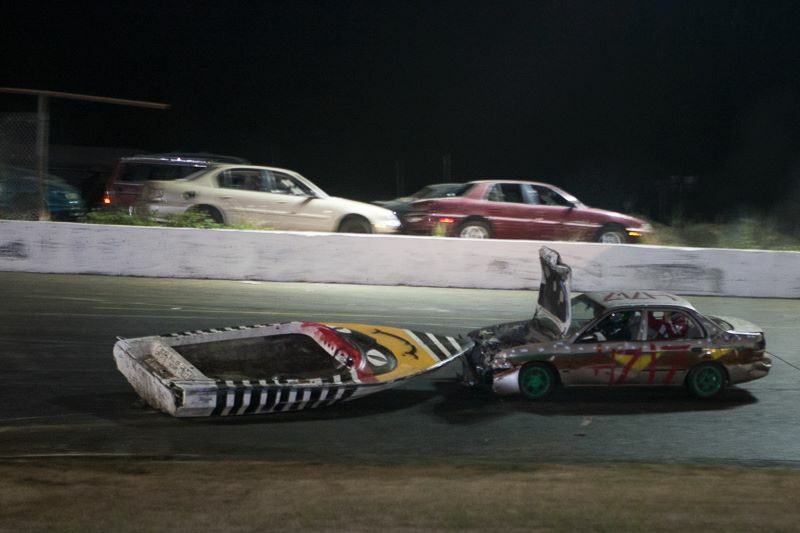 Motor sports at Redwood Acres Raceway won’t end Friday evening. On Saturday June 23rd, RAR will host a special Tractor Pull event. Pre-sale tickets are available at www.RedwoodAcresRacing.com/tickets which includes entrance to the fair and grandstands, a chance to do a meet and greet, VIP entry into the grandstands and VIP seating. Eureka, CA (June 19, 2018) – The biggest race of the 2018 season for the Humboldt Outlaw Karts is set for this upcoming Thursday July 21st. The karts will be part of the opening night of the 2018 Redwood Acres Fair. Entry to the kart race will be free for fans of all ages and the number of karts racing in the six divisions is expected to be high. The kart races will be presented by Automotive Workshop & Fabrication. Thursday’s races will also have an added incentive as the total purse for the night is over $1,000. In addition, a special Dash 4 The Cash race will be an additional feature highlight. The top four finishers of each division’s main event will have the chance to win an additional $100 if they win the six-lap trophy dash. It’s certain to be a can’t-miss event for motorsports enthusiasts of all ages on the North Coast. Humboldt Outlaw Karts would like to thank their partners for the 2018 season, Champagne Attorney Service for the beginner box stocks, Williamson Financial Group for the box stocks, Wes Green Landscaping for the 125/250cc karts, NorCal Automotive for the 500cc/open karts, Fortuna Wheel & Brake for the old fart karts and Michlette Family Racing for the pure stocks. Senior & Military - $7.00 (62 & Over), Junior- $6.00, and Parking - $7.00. MADERA, CALIFORNIA (June 19, 2018) – The Western Winged Super Sprint portion of the 18th Gerhardt Classic open wheel race on July 7th at Madera Speedway has gained some serious horsepower in the form of an expanded purse. Sponsors and supporters of open wheel racing have allowed the race to pay an outstanding $800 to start. The evening of open wheel excitement on the one-third mile oval north of Fresno, CA will include a 100 lap BCRA Midget race, USAC Western US Midgets, NCMA Sprint Cars, 360 Super Modifieds, Vintage BCRA Midgets, and Legends of Kearney Bowl. Race fans will also be able to view the action live on the Madera Speedway Facebook page and on ShortTrack TV. 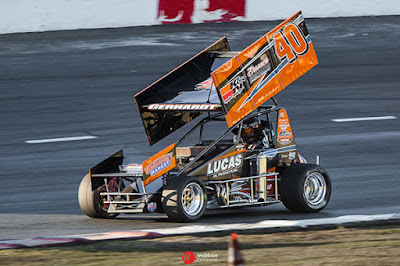 Madera’s goal is to include the Winged Sprint Cars on the Madera Racing on MAVTV program in 2019 if car counts and sponsorships continue to grow. The Gerhardt Classic honors the entire Gerhardt family’s contributions to motorsports, especially the efforts of Fred Gerhardt who was responsible for the construction of at least 44 rear engined IndyCars throughout the 1960s and 1970s. Their best finish as car owners in the Indianapolis 500 came in 1968 when Mel Kenyon finished third. A total of eight IndyCar victories were in Gerhardt cars. Fourth generation racer Cody Gerhardt competes primarily in the Winged Sprints and BCRA Midgets but also races USAC Silver Crown cars on asphalt as well. His family-run operation fields entries in, and organizes, the USAC Western US Midget division that is a continuation of the Ford Focus and HPD Midget classes. Madera Speedway represents a melting pot of the past, present, and future of racing. Many drivers that compete in the USAC Western US Midgets are graduates of the adjacent Goodtimes QMA that is located against the backstretch of the track. The Legends of Kearney Bowl and Vintage BCRA Midgets do their part to keep the history of pavement open wheeled racing in California alive. Next up for the Madera Speedway is June 30th’s Reverend Ron Spencer's Red, White and Blue Classic with a BIG FIREWORKS SHOW! It will include race #5 of the MAVTV televised $2,000 to win RPM Mortgage Pro Model Series 80 Laps (50 Laps then a break, then 30 laps),rRace #5 of the 51FIFTY Jr. Late Model Series 80 laps (50 laps then a break, then 30 laps), MST (48 lap main spilt 24’s), Toyota Sedans (48 lap main, split 24's), and the Mini Cup vs Bandoleros Series. Madera Racing on MAVTV airs Thursdays re-runs of the 2017 season every week. The show airs at 5 p.m. and 8 p.m. PST and is also available on the Lucas Oil Racing TV app. The first round of the 2018 51FIFTY Energy Drink Junior Late Model Series airs this Thursday. This weekend's Carneros 200 at Sonoma Raceway just might feature the strongest field in the NASCAR K&N Pro Series West in 2018. Besides the front-running teams of Bob Brucati's team and Bill McAnally's team, several Monster Energy NASCAR drivers will be racing in Saturday's race. The NASCAR K&N Pro Series West's annual race at the Sonoma Raceway road course has been a sort of testing ground for less experienced Monstery Energy NASCAR drivers who have little experience racing at a road course. Past Cup winners include Brian Vickers (2006), Joey Logano (2011), Kyle Larson (2014) and Chase Elliott (2016). The entry list for the Carneros 200 will feature a bevy of NASCAR Monstery Energy Cup Series drivers. Hendrick Motorsports teammates Alex Bowman and William Byron will be among those hoping to win. Two Joe Gibbs Racing drivers will also be competing as well in Erik Jones and Daniel Suarez. Veteran Cup driver Aric Almirola will also be racing Saturday. 20-year-old NASCAR Next driver Will Rodgers nearly won last year's K&N Pro Series West race at Sonoma. He finished runner-up to Kevin Harvick. Rodgers recently won at the New Jersey Motorsports Park road course in the K&N Pro Series East and has two previous road course victories. Jim Inglebright is a veteran in the K&N Pro West series having run every Sonoma race since 2006. His last win came at Portland International Raceway in 2008. Cole Keatts is an established rally car driver. He made his K&N debut at New Jersey this past weekend. David Mayhew will also be a likely contender. The veteran driver has 10 West Series wins, including Sonoma in 2015. Points leader Derek Thorn is the only other non-Cup driver to win at the Northern California track. He finished second in 2012 and won the 2013 event en route to the championship. Friday — Garage opens: 9:45 a.m. PT; Final practice: 1:05-2:25 p.m.; Driver Autograph Session: 3-3:45 p.m.
Saturday — Garage opens: 8:30 a.m. PT; Group qualifying: 10:15 a.m.; Carneros 200: 1:30 p.m. CREW CHIEF HANDOUT: The maximum starting field is 40 cars, for each race, including provisionals. The first 36 cars will secure starting positions based on the qualifying session. The remaining four spots will be awarded through the provisional process. The CARNEROS 200 will be 64 laps (127.36 miles) to be run in three (3) segments. The five (5) minute breaks will occur at or near the conclusion of Laps 21 and 42. At the conclusion of the break, lead lap vehicles that elected to pit will line up – in the order they were running at the beginning of the break — behind the lead lap vehicles that elected not to pit in order of running. The maximum tire allotment available for this event is as follows: Four (4) tires for practice, four (4) tires for qualifying and to begin the race, and four (4) additional tires for use during the race for a total of twelve (12) tires.